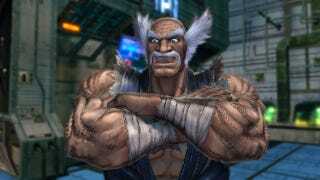 A whole bunch of Street Fighter X Tekken fans contacted us over the weekend to complain about what appeared to be on-disc downloadable content in the fighting game, which comes out tomorrow for Xbox 360 and PlayStation 3. Some gamers have outspokenly criticized the idea of on-disc DLC—after all, if content is ready in time to be included on a disc, why would a company charge extra for it? Publisher Capcom is no stranger to this controversy; rumors suggested that on-disc DLC was also packaged with the horror game Resident Evil 5 several years ago. By including these 12 characters on the disc, the idea was to ensure easy compatibility between players who do and do not choose to download the characters when they arrive as DLC. For example, not buying costumes in the Street Fighter IV series means you will not see the costumes when playing another person who did buy them; on-disc characters avoid this issue and allow everyone to participate in the update without additional patches or hiccups. The update also saves on file size - instead of a massive download, there will be a much smaller unlock that brings the new content to the surface. This move also furthers our desire to avoid a "Super" version of the game down the road. Everything you need to enjoy this game for months (and years) to come will be accessed by the retail disc available this week. When the DLC update does come, it will inject new life and excitement into the game by unleashing 12 new fighters into the wild.